"I wish I had the time to make these craft items...I'm too busy: working, taking care of the kids, cooking and baking for the holidays... I just want to BUY them!" My new Etsy store, jewishholidayshop is here just in time for Passover. I have three items for sale for your Seder table--two types of placecards and "matzah" napkin rings. 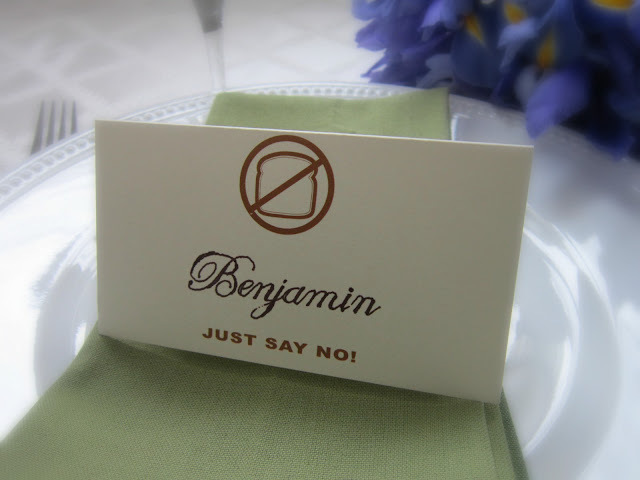 This place card is one of my favorites. Click here to see the rest of Passover items for sale. Congratulation on your new shop! !